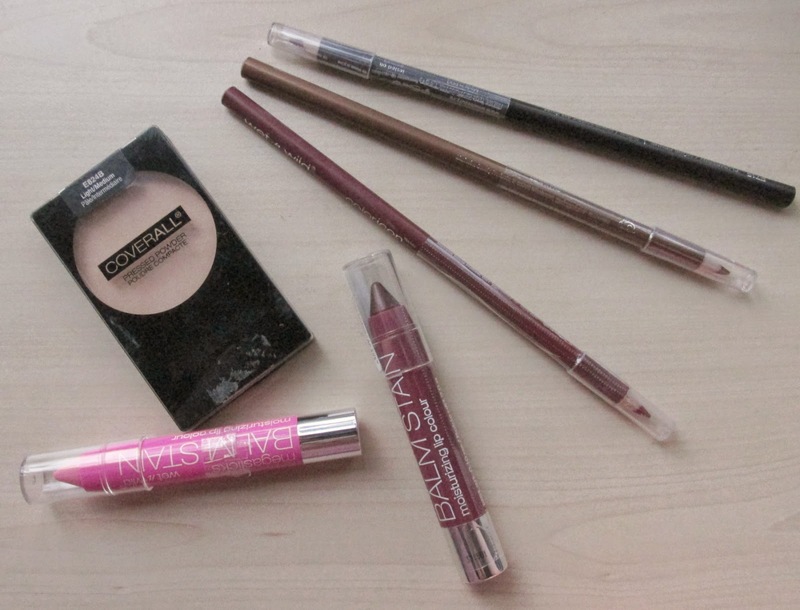 Lozzy Loves Lippy: Beauty Haul ft MAC, Makeup Revolution, Wet 'n' wild etc. 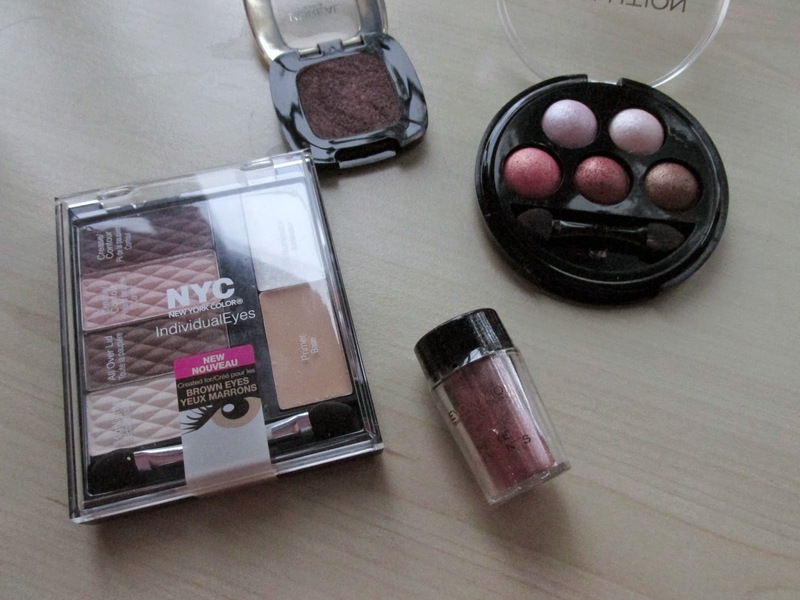 Beauty Haul ft MAC, Makeup Revolution, Wet 'n' wild etc. Surprise, surprise- she's been shopping again! I've picked up a few bits over the last couple of weeks being back home and a wee sneaky Superdrug order too so I thought I'd share with you what I got. First up, we have the Coverall powder in Light/Medium. I got this because I forgot my trusty Rimmel Stay Matte and needed something to ensure I wasn't an oil slick on a night out. Its a nice, smooth powder but it does provide coverage and too much can look cakey so be careful. Next I got 2 of the Megaslick Balmstains in 'A stiff Pink' and 'Lady and the Vamp'. A Stiff Pink looks so light in the tube but once on it is a lovely sheer pinky and just gives the right amount of colour for a natural/effortless makeup day. I haven't tried lady and the vamp but it's a very deep raisin kind of colour. The finish is definitely shiny and there is most definitely a stain when the shine wears off. I then got 3 more of the colour Icon Pencils; Two lipliners in Fab Fuchsia, which is more like a deep raspberry and Plumberry, a very dark purple. I got one eyeliner in bronzed which I thought would go well with plumy lip and eye colours for autumn. L'oreal colour Riche eyeshadow in Escape in Bordeaux. I am on the hunt for something like MAC Cranberry but for less and I saw this on a blog to say it was on the same lines, it's not really but I love the colour anyway. Makeup Revolution Baked Eyeshadow Palette in Chocolate Deluxe. Again in my search for that reddish tone autumnal eye, this took my fancy. It is really pretty with 5 gorgeous shimmery shades and I really want to do a look with it so If you want to see a review/look post or video let me know. Lastly- NYC Individual eyes in Midtown Mauve. Again in my quest for a cranberry dupe this came up in searches and I thought I'd give it a go. It's got 4 eyeshadows, a cream primer base and cream highlight which looks interesting. If you want to see a review of this too let me know. So Leaving super drug behind I've made a few orders from Cohorted recently. If you don't know what Cohorted is, it's like a price drop site where they set 5 'cohorts' (beauty item) live on a monday at 6pm and the more people who join/commit to buy, the more the price drops towards the maximum discount. 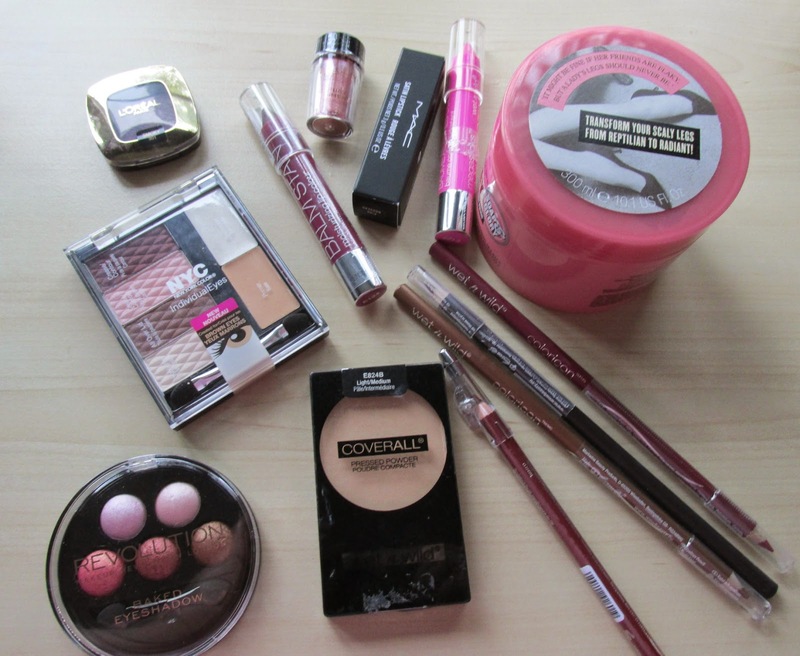 They have stuff like MAC, Urban Decay, Benefit etc and they are always at great prices. I got Mac Pink Nouveau for £12.40 instead of the £15.50 that it usually is. It's just a blue toned pink shade with a satin finish. Because there was a couple of week delay with my order due to an error on my delivery address and the couriers being idiots they kindly sent me this full sized soap and glory flake away body scrub as an apology which was nice of them! So I hope you enjoyed seeing what I've been frittering away my moolah on. If you want a review or swatches on any of the items let me know in the comments! !